Daniel and Sa‘ed on their way to Paradise. 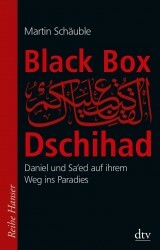 The biographies of two Jihadis – one Palestinian, one German. German hardcover is published by Carl Hanser Publishers; paperback by dtv. The Russian edition is published by KompasGid Moscow.